When you’re in the market for a used Mercedes in Colorado Springs, you’ll want to visit the Phil Long Family of Dealerships. 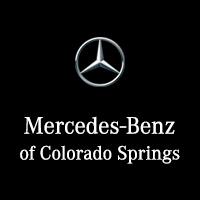 At Mercedes-Benz of Colorado Springs, you’ll find a real commitment to you, our customer and the community. We have an extensive selection of used Mercedes-Benz vehicles and have become one of the best used car dealerships in Colorado. Let’s take a look at what makes us different from the other used car dealerships in Colorado and Denver. At Mercedes-Benz of Colorado Springs, we have the best selection of used cars in Colorado. You won’t find an extensive Mercedes-Benz used inventory as you will with us. Whether you want to see the best used luxury cars in Denver or inexpensive Mercedes cars in Colorado Springs, we have what you need. Every Mercedes certified used vehicle comes with the peace of mind you need. In addition, all Mercedes-Benz Certified Pre-owned vehicles have a comprehensive limited warranty. To begin with, they all receive the remainder of their new car warranty which lasts four years or 50,000 miles. Then, the Mercedes-Benz CPO Limited Warranty covers another 12 months with unlimited miles. If your used Mercedes-Benz in Denver doesn’t have an existing new vehicle warranty, this MBCPO Limited Warranty takes effect at the time of delivery. Your coverage extends to the powertrain, engine, suspension, steering, electrical system, brakes, climate control system and so much more. This comprehensive coverage offers you security, helping you know that you’ve made the right decision. In addition, customers can choose to add up to 24 months of coverage at the time of purchase. In 2017, Mercedes-Benz beat BMW to take the top spot as the best-selling luxury automaker in the United States. The certified used cars in Colorado Springs are what everyone wants and are looking for. When you purchase a Mercedes Benz in Colorado Springs, you receive top-notch engineering and sleek style unlike any other. We all know the looks a used Mercedes-Benz receives as it rolls down the road. Don’t you want to be one of those people that have the power to turn heads everywhere you go? This dream is a reality with Mercedes-Benz of Denver. We have the models you need at a price you can feel good about. We have all the best used Mercedes models in our inventory. You’ll be able to explore the design and functionality of a used Mercedes-Benz E-Class. If you prefer the feel of an SUV, why not get behind the wheel of a used Mercedes-Benz G-Class. You’ll soon discover this vehicle is good for on and off-road adventures. Another popular option is our used Mercedes-Benz C-Class. This luxury compact executive car sure knows how to make a great first impression. We have the best models available for you to drive home today. Whether you want a used Mercedes GL 450, a used Mercedes-Benz E 300 sedan or you can see yourself in the cabin of a used Mercedes GLC 300 SUV; we are the place you want to be. With a pre-owned Mercedes-Benz, you get more than just sleek style; you also get the name recognition, dependability and luxury you deserve. You’ve worked hard to get where you are today, and your car should reflect your status. Stop by and visit us at Mercedes-Benz of Colorado Springs to test drive a used Mercedes-Benz C 300 sedan or other certified pre-owned vehicle today.